Skoda is using eye scanning technology that tracks the movement of consumers' eyes to collect information about the car model they prefer, in a digital campaign that kicks off today. It has launched an interactive online site for the Fabia model, which employs pupil-tracking software, via the user's webcam, to calculate which vehicle grabbed the most attention. It creates viewing stats and an infographic based on the results of the user's eye movement. 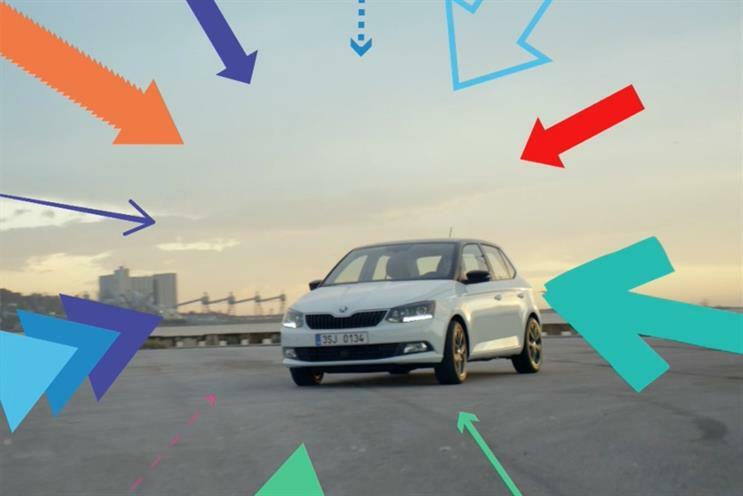 Skoda claims it is the first time a brand has ever used eye-tracking tech in a creative. In the next phase of the campaign, which will kick off 16 February, consumers across 32 markets will be able to create their own films using a built-in editing platform on the site. They will be encouraged to submit their films to "battle" for attention against other users. Andrew Barnard at agency 18 Feet & Rising, which developed the campaign, said the campaign was about "redefining the brand by creating unexpected experiences for the consumer."